Brand - There is no doubt that the brand of a product highly influences the way it is perceived as a whole. On the other hand, it also affects the level of service that manufacturers have to provide because with great recognition comes great responsibility. This logic definitely applies to the snorkeling fin market as well as many others, there is no room for an organization of any sort to put out a sub-par product when they have been held in quite a high regard. 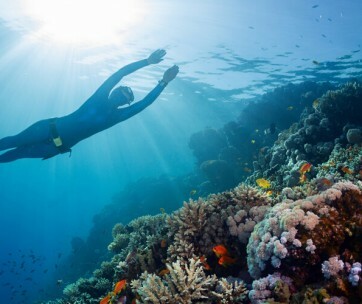 So, when looking for a sturdy pair of snorkeling fins, it is wise to opt for products that come from manufacturers who are well-known and recognized for putting out some of the best snorkeling equipment on the market. Reviews - Reading product reviews is the equivalent of staring into the soul of a product itself. Of course, companies and manufacturers will talk up their products, whether they are of good quality or not; this is what they have to do to drive sales. The one sure way to have some real and factual information about these snorkeling fins is to check out what previous users have to say about it considering factors like size, quality, durability and scrutinize the general features of the snorkeling fins as a whole. For all buyers out there, this is the one sure way of getting all the juicy details about a product without having to purchase a whole bunch of them thereby making a ton of mistakes or buying unsuitable products as a whole. Price - For every viable and sturdy product, best believe there is a version that you can buy without breaking the bank. Nevertheless, it is important to keep it at the back of your mind that that in some cases, quality is equivalent to the price and in that case, it is profitable in the long run to invest in something a bit pricier. On the other hand, there are times when a good bargain offers up more than expected. Here, we chose a selection of products that fall within the different price ranges nevertheless their quality speaks volumes. Full foot - This model is also known as the closed foot or slipper style and bears a striking resemblance to a slip-on shoe. If you are looking to make use of the snorkel fins in warm water areas such as tropical locations, then this is the design for you. This is due to the fact that it is solely meant to be worn barefoot void of insulation of any kind. Another issue to consider when opting for this model is shoe size; due to the fact that they are closed, there is little to no room for adjustments and as such you need to be sure of your size before making a purchase. Individuals with notably wider shoe sizes as well as higher arches may have issues with this model due to the fact that they are usually designed for the average size and shape of feet. Open heel - This is the counterpart of the full foot model and is quite self-explanatory, the heel is left open and as such it is the swim footwear that is more suited for cold water swimming because it requires the use of additional footwear in order to be used. This model is not as picky when it comes to size due to the fact that there is an adjustable strap and as such, this may be the more practical option for people with larger feet. This model is equally versatile in the sense that it has a warm water design which has risen through the ranks over the years. 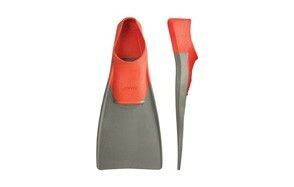 Split Fins - Depending on your style and level of swimming, split fins may be just the thing you need to spice up your snorkeling life. 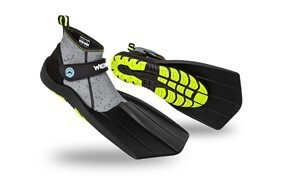 This model is more suited for divers who tend to flutter kick. All in all, this model is best suited for beginners or people who tend to snorkel for long periods at a time due to the fact that they are met with less resistance and as such result in less fatigue. Paddle fins - If you are one of those divers that need to cover a whole lot of ground in one snorkeling session, then this is the design for you. They come with a stiffer rubber which makes for a more forward velocity with each kick. They are also great when used in current and waters that are more likely to provide resistance as a whole. It is quite important to consider what type of diving you are undertaking in order to make the right purchase. Fit - The right fit is quite important as there is a lot of movement involved underwater and a lot of resistance to couple it. In the case that there is too much movement, the fins may slip off. And in the added case that it happens in a highly volatile environment, this may affect the overall safety of the user. 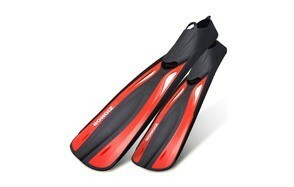 So, making sure your snorkeling fins are as snug as can be without causing discomfort is paramount. Comfort - This should be at the top of the list when sourcing for a good pair of snorkeling fins, All in all, swimming and water sports require an amount of exertion as a whole. 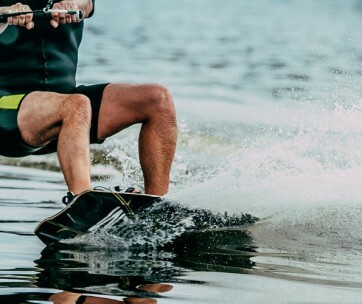 No one wants to go home at the end of the day with blisters and bruises, so be sure to opt for models that highlight comfort and have fewer contraptions that can cause the user pain. Material - Be it plastic, rubber, a combination of both or a synthetic blend, the materials used to make these products is important mostly in the case of durability and what is most likely to handle water resistance and remain sturdy afterward.